On August 22, 1966, the United Farm Workers Organizing Committee (UFWOC), later renamed the United Farm Workers of America (UFW), was formed. The UFWOC was established when two smaller organizations, the National Farm Workers Association (NFWA) and the Agricultural Workers Organizing Committee (AWOC), both in the middle of strikes against certain California grape growers, merged and moved under the umbrella of the AFL-CIO. 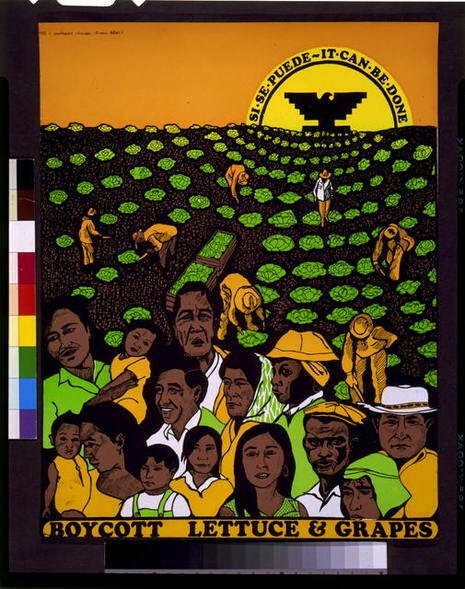 Under the founding leadership of Cesar Chavez and Dolores Huerta, the UFW won many labor or civil rights concessions for disenfranchised Mexican-American farmworkers, an important aspect of the Chicano movement. The Chicano movement has been an often-ignored part of the civil rights struggles in the 1960s; it was, nonetheless, a landmark period for the second-largest ethnic minority in the U.S.
Before the rise of the UFW, working conditions were harsh for most agricultural workers. 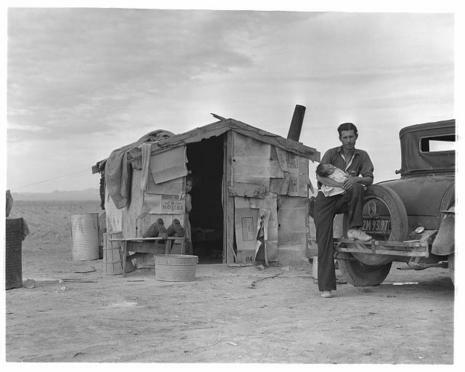 On average, farmworkers made about ninety cents per hour plus ten cents for each basket of produce they picked. Many workers in the field were not provided even the most basic necessities such as clean drinking water or portable toilets. Unfair hiring practices, such as favoritism and kickbacks, were rampant. Seldom were their living quarters equipped with indoor plumbing or cooking facilities. The United Farm Workers of America (UFW) is a labor union founded by Philip Vera Cruz, Dolores Huerta, and Cesar Chavez. This union changed from a workers' rights organization that helped workers get unemployment insurance to that of a union of farmworkers almost overnight, when the National Farm Workers Association (NFWA) went out on strike in support of the mostly Filipino farmworkers of the Agricultural Workers Organizing Committee (AWOC) led by Larry Itliong in Delano, California who had previously initiated a grape strike on September 8, 1965. The NFWA and the AWOC, recognizing their common goals and methods, and realizing the strengths of coalition formation, jointly formed the United Farm Workers Organizing Committee on August 22, 1966. This organization eventually became the United Farm Workers and launched a boycott of table grapes that, after five years of struggle, finally won a contract with the major grape growers in California.